I returned from vacation craving this Mexican street corn I had at Taco Boy in Folly Beach – a spicy, flavorful ear of singed corn with a decadent creamy sauce. Then, I was reading one of my favorite blogs, Love and Lemons, and saw a recipe for Mexican Street Corn Salad. 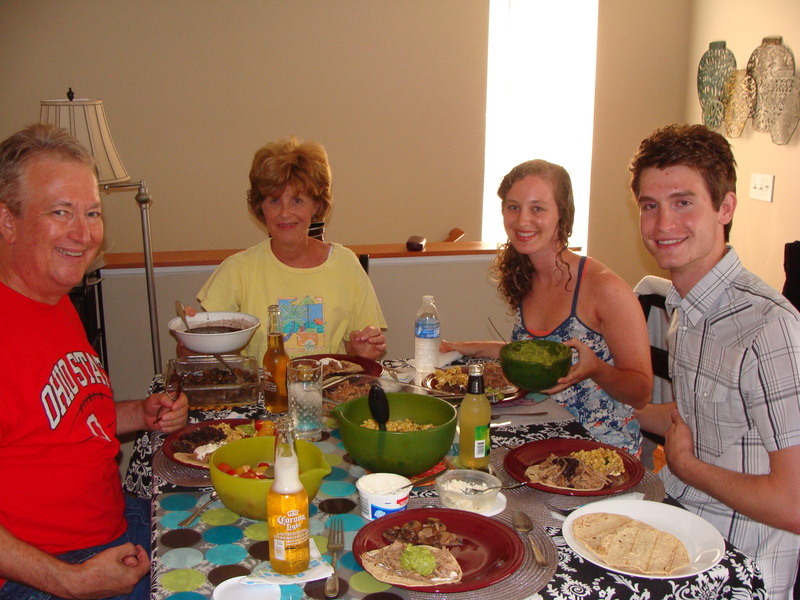 I decided to do my own take on this dish, and served it to my parents, sister, and her fiancé – my Dad remarked that it (along with some yummy pork carnitas – a post for another time) was the best meal he’d ever had at my apartment. That’s some high praise for what is truly a simple dish. This was my take on Mexican street corn. Heat a drizzle or two of olive oil in a non-stick skillet. Wait for the skillet to get HOT and then add your corn and garlic cloves. Sprinkle corn with salt and pepper. Once corn is browning, lower the heat. Add your sliced green onions, mayo, and lime juice. Cook for a couple more minutes, then remove from heat. 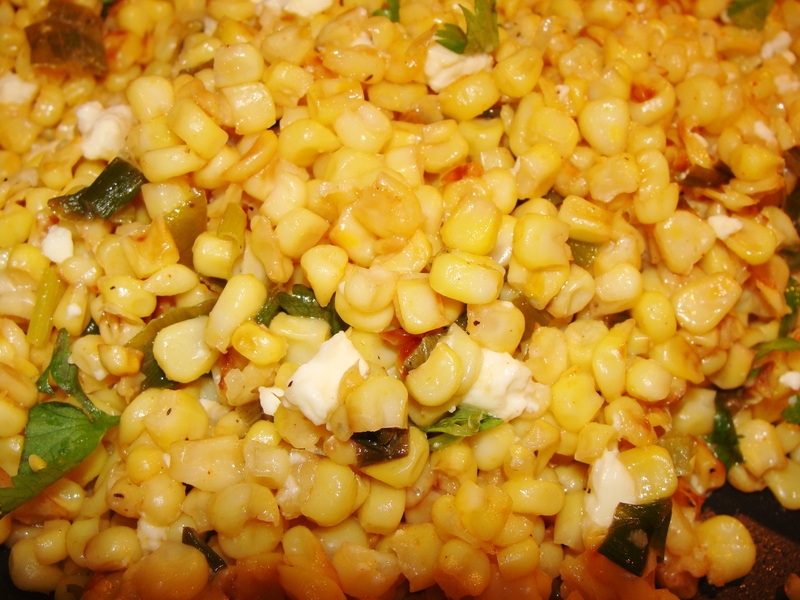 Once corn is in serving bowl, top with cilantro, smoked paprika, and your feta cheese. « chicken makhani (Indian butter chicken). You are currently reading mexican street corn. at The Cheesy Kitchen.